With a bit of food in their tummies and new gear piled in the back of our SUV, reality began to set in. But it was three heavy duffel bags which held the real aroma. I found this in my son’s duffel bag. The longer we were in the car, which now also included a trip to Wal-Mart, the greater stress weighed on me as a mother who had a giant task ahead of her. We had been warned that the laundry stunk but oh my, as soon as I unzipped the first duffel bag, a tsunami of smell filled my nostrils. Foolishly we had chosen to wash the clothes in the hotel laundry room. I do not recommend this as it is asking too much of a standard model washing machine. Alas, with no time to spare, I began pulling damp ACU items out of the bag chucking them onto the floor. Body odors, dirt, grime, silt stuck into every fiber. In my 23 years of motherhood, nothing really had prepared me for this task. no previous Army training exercises involving stinky summer uniforms was adequate preparation. Every type of laundry detergent I had available was summoned forth. With reckless abandon, I threw t-shirts, pants, filthy socks into the mouth of the machines. Time was of the essence and the clock pulled minutes away from our day. Occasionally I opened the lid as if to apologize to the machine for the assault. Dirt, sand, duct tape began to cover the laundry room floor. I even found a few rocks tucked into my boy’s pockets which made me wistful of those bygone years. 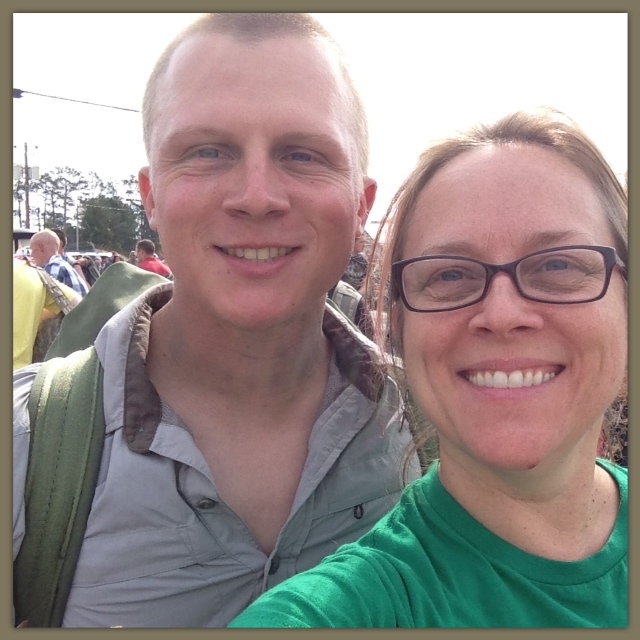 The Hubs came into the laundry room and we both stood amidst the sea of Army colors. Truly I was making a mess and the thought of unzippering the next duffel bag was daunting. I chuckle seeing this picture and now realizing it is blurry. 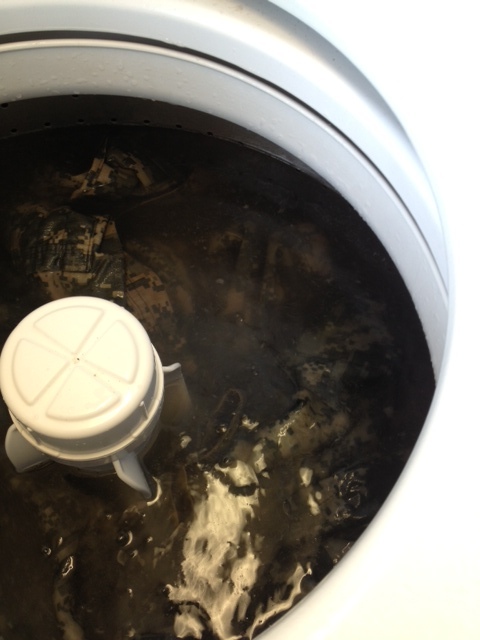 I felt so frantic trying to wash two filthy duffel bags full of stinky Soldier clothes. The Hubs scrambled between two locations checking on our other Ranger School charge to make sure he was ok.
C. was holding his own quite well so the Hubs ran to the front desk, then back to the store, anywhere to load me up with more quarters. Tension was high…very high. Neither one of us wanted to let our guys down yet it seemed hopeless that we could get all the clothes clean by the mandatory 6pm arrival. And now let’s just talk for a moment about clean. It’s all relative. There was not sufficient time for the clothes to be mama-clean. My standards were lowered, I had to be realistic. No offense but the place reeked. When an employee happened by the laundry room, I flagged him for help. Open the windows! This didn’t provide much relief but it seemed the courteous thing to do for the other hotel guests. At times I was afraid to plunge my hand into the dark bag for another odoriferous bundle. Damp black trash bags knotted at the top forewarned me that I was approaching hazardous material. The deeper in the bag I got, the greater the risk. Seriously gross. Ridiculously smelly. Would I do it again? In a heartbeat! Do I want to? I’d rather make him a green smoothie. 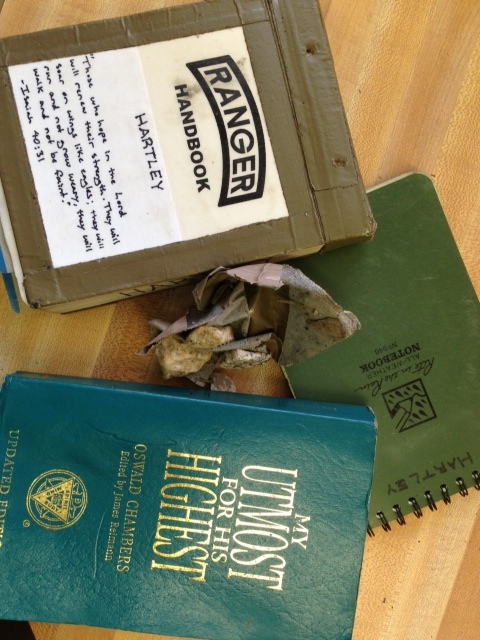 The treasures found in Nate’s backpack. The rocks I found in his pockets made me want to cry. Just like when he was a little boy. With about an hour left before we had to take everyone back, I finished the laundry. Folding the t-shirts, sorting the socks, double-checking the pockets for any residue, I was content at the end of the day. What a sense of ac- complishment. Yes, I wanted to do a better job but the clothes were much cleaner than they were eight hours previously. The Hubs and I were exhausted but it was the least we could do for these hopeful Rangers. As the guys put on their freshly washed uniforms, it was a proud moment. We hugged goodbye, I tearfully kissed my sweet boy and they put their duffel bags on their shoulders, ready to return. Looking better, smelling nicer, feeling like they were ready to do this. 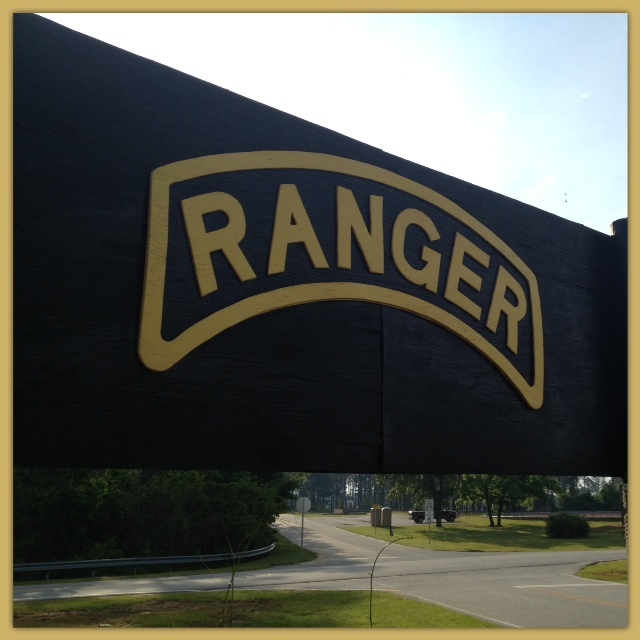 Rangers lead the way! I will always love this guy no matter how stinky he is or how gross his clothes are! 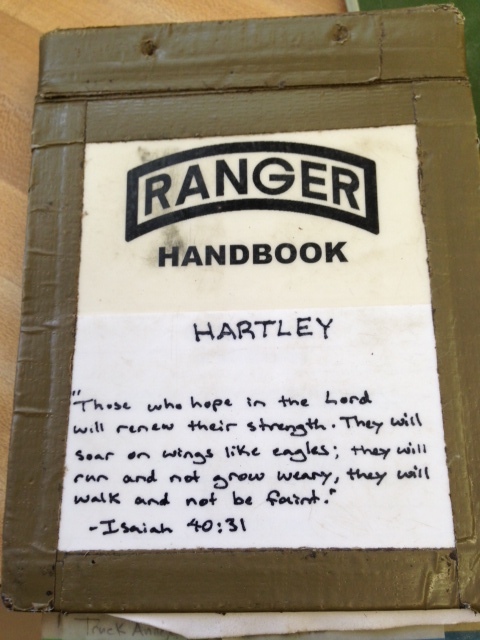 My eyes welled with tears when I saw his verse on his handbook. And I want to squeeze him and his buddy so badly! Me too, Meredith! Even though they are probably needing a serious bath and squirt of cologne! Thank you for your support! And hug you too! I will miss seeing you tomorrow night. You’re in my heart. Likewise, you are moving on up and I’ll miss you tomorrow also! Can’t wait to read all about it though! 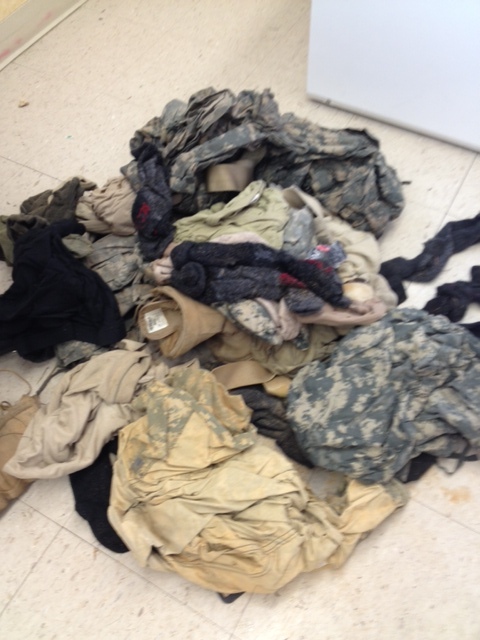 This laundry story cracked me up, wait until after Florida phase, his clothes are going to be ‘swamp nasty’ haha I had to throw away some of my boyfriends ACU pants and a pair of boots, we salvaged most of it though. Good luck to your son through this journey, he can do it! Thanks Tori! So are you saying that I might be privileged to experience more smelly laundry? The thought of swampy clothes gives me the heeby jeebies! Congrats on your man’s tab, sounds like you need one too! RLTW! 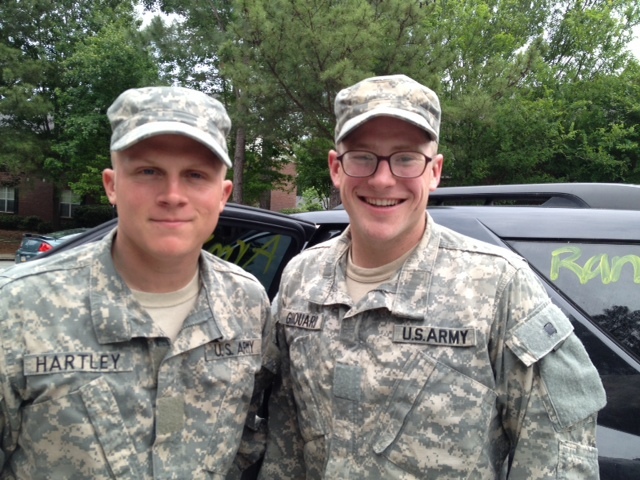 Yes, those guys need our support and are blessed knowing they are encouraged by family and friends! RLTW! LOL! Having a rough day and that post made me really smile! Thank you! Lisa, sorry you are having a rough day. It’s understandable and at any given moment, I can go there as well. I’m glad it made you smile. Bless you, friend. My son is in the 7-13 class so I really appreciate your insights! Thanks so much for sharing. You’re welcome Robin! Something for you to look forward to! It’s such a unique journey for all of us! RLTW! Best of luck for your son, stay in touch! This is priceless. I hope you compile these into a book someday! My son was in 5-13 and I always enjoy reading your blog. I even cut and pasted your info to one of the pages a few minutes before you did. This must be shared! RLTW! Bless you, that means a lot to me, what a kind message! Thank you! RLTW! RMLTW! RWLTW! We need 2 more terms- Ranger Wives Lead the Way and Ranger Moms Lead the Way! Sandy, I LIKE your thinking! That’s awesome!